At 15 o’clock Prime Minister May presents her Cabinet the planned Brexit Deal. The Northern Irish DUP party criticizes the draft sharply. A hardliner of the party speaks of a “humiliation”. The Northern Irish Protestant Party DUP has criticized the draft treaty for Britain’s exit from the EU. The Brexit agreement proposed by British Prime Minister Theresa May could lead to the collapse of the UK, DUP MP Jeffrey Donaldson told BBC radio Wednesday. That was nothing that could support the party. DUP hardliner Sammy Wilson said on Twitter that the party would not vote for this “humiliation”. The London government still has to agree with the agreement reached with the European Union after a long tug-of-war on Tuesday evening. The British Cabinet is scheduled to meet at 3 pm CET to discuss the draft exit agreement. May also depends on the approval of the DUP. DUP Vice President Nigel Dodds also expressed his skepticism about the agreement. However, the party will first study the text of the agreement before making a decision, Dodds said Tuesday night. If the UK Cabinet agrees, an EU summit on the Brexit agreement could possibly take place in Brussels next weekend, on 25 November, the Council said in Brussels. According to EU officials, the text of the treaty will include a safeguard designed to prevent the return of controls at the border between EU Member Ireland and Northern Ireland following Brexit. 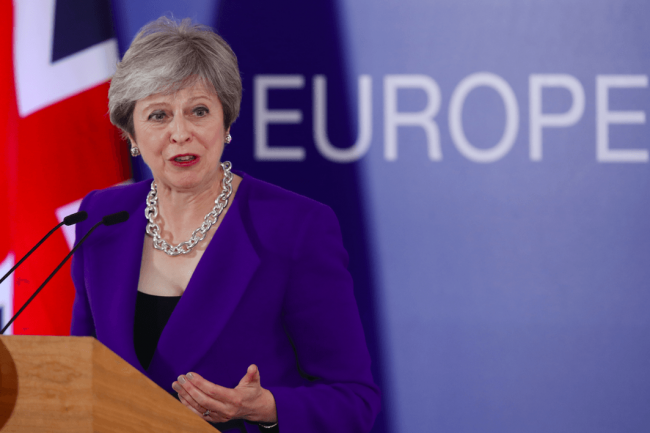 The point would keep Britain, together with Northern Ireland, temporarily in a customs union with the EU – and Northern Ireland in the EU single market. So far the question is the biggest bone of contention in the negotiations on Britain’s exit from the EU at the end of March 2019. The EU and Ireland certainly do not want to allow a hard border with Northern Ireland, a country long marked by political violence.